Sclerotherapy is a popular procedure that is used to eliminate varicose veins and spider veins, known as telangiectasia. This is a simple procedure where the surface veins are injected with sclerosis solution, which causes them to collapse and fade over time. The body easily absorbs these collapsed veins, causing no distress to the other veins or damage to your skin. This will allow you to enjoy glowing skin without the discolouration of these veins. In addition, by eliminating the damaging veins from your legs, there is a significant improvement in the physical symptoms that would accompany spider veins, including aching, burning and swelling. During sclerotherapy, a fine needle will be used to inject the sclerosis solution. This will be directly into the blood vessels. This will cause the lining of the vein to swell and eventually seal shut. This procedure may take three to five treatment sessions. UGS or Ultrasound Guided sclerotherapy is used if larger veins are present. This involves a mapping ultrasound and a tiny needle is used to inject foamed sclerosant into the vein. The lining of the vein then swells and eventually seals shut. One to three treatment sessions may be needed for this procedure. There is only minimal discomfort associated with sclerotherapy. There should be no pain during the procedure. Some patients do report a slight burning sensation when the injections have been completed, but this does not last long and will disappear quickly. Are there any Side Effects from the Sclerotherapy Procedure? There are minor side effects from sclerotherapy. This can include having a slight redness to the skin, as well as some minor swelling on the treated area and where the injection site was. But, these side effects will dissipate after a few days of having sclerotherapy. In addition, some patients may see that the vein will be more pronounced, but this will not last long. After treatment of larger veins with UGS or EVLT, a repeat ultrasound will be done in four weeks to ensure that the treated veins are sealed. Occasionally, a treated vein will reopen, requiring a repeat injection of foam sclerotherapy. 98 percent of treated veins are found to be sealed shut at the one year follow-up appointment. Is there any Downtime Associated with the Sclerotherapy Procedure? We recommend that patients stay out of the run and tanning beds for four weeks after having sclerotherapy. In addition, you should wear compression stocking for a minimum of three to five days to help promote health circulation. You should also abstain from high impact activities such as running or step aerobics for three weeks. Walking should be at a moderate pace, as this will aid with the healing process. Who are Suitable Candidates for the Sclerotherapy Procedure? 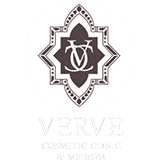 At Verve Cosmetic Clinic, we typically recommend sclerotherapy for more advanced cases of spider veins on the legs. These are often found on the face, generally appearing on the nose, chin or cheek area and the legs, usually on the thighs and ankles. They also usually have a purple, blue or red colour. In addition, it can also be used to treat small varicose veins, which are twisted veins near the surface of the skin caused by weakened valves and veins in your leg. To learn more about your options, contact us today for a consultation with Dr Alia Nasser, our leading female cosmetic practitioner in Sydney. This way appropriate treatment can be chosen for you and a plan can be created to move forward to achieve your desired goals. Telangiectasias (spider veins) are dilated superficial veins. They are often found on the face, generally appearing on the nose, chin or cheek area; and the legs, usually appearing on the thighs and ankles. Spider veins are usually the colour purple, blue or red, and appear in three basic shapes: linear, branch-like or spider-shaped, with a dark centre point. Varicose veins are twisted, enlarged veins near the surface of the skin caused by weakened valves and veins in your leg. Valves in your veins help blood keep flowing from your legs, and when these valves stop working, blood collects in your legs and pressure builds up. The vein then becomes weak, big and twisted. Symptoms of varicose veins include pain, aching or burning in the legs, swelling, leg cramps or sores, itchy skin around the vein, and open wounds such as skin ulcers around the ankle. What are the treatment options available for varicose and spider veins? There are a number of treatment options available, with some complementing another treatment, or used to treat larger veins. These treatment options include:Surface laser treatment: used to eliminate spider veins, with the laser beam pointed at the veins to be treated, and the laser light energy to close the veins. By injuring the veins with the laser first, the vein spasms and less sclerotherapy is required.Sclerotherapy: a needle is used to inject sclerosant, causing the lining of the vein to swell and eventually seal shut. This procedure may take three to five treatment sessions. Sclerotherapy is an appropriate treatment for small to medium sized reticular veins that feed spider veins, or small varicose veins that remain after the laser treatment of reflux in the large saphenous veins. UGS or Ultrasound Guided Sclerotherapy: if larger veins are present, a mapping ultrasound is organised to determine whether an Ultrasound Guided Sclerotherapy (UGS) treatment is needed. Using ultrasound guidance, a tiny needle is used to inject foamed sclerosant into the vein. The lining of the vein then swells and eventually seals shut. The vein will usually fade in a few weeks. Depending on the number of veins, one to three treatment sessions may be needed. EVLT or Endovenous Laser Treatment: if larger veins are present, a mapping ultrasound is organised to determine whether an Endovenous Laser (EVLT) treatment is needed. EVLT is a 30-45 minute in-office procedure with no down time or scarring. After the skin is numbed, the vein is accessed through a small incision and an introducer is inserted into the vein. The laser filament is inserted through the introducer. Once inside the vein, the placement of the laser filament is verified using ultrasound and by visualising the aiming beam. The laser is slowly withdrawn as it emits energy, with the laser energy sealing the vein shut. What are the post-procedure protocols after treatment of spider veins? After treatment of spider veins, it is recommended that compression stockings be worn for three to five days and for a week after treatment of larger varicose veins. As with any procedure, some mild side-effects might occur. These side effects include slight redness to the skin tone or mild swelling in the treated area. After treatment of larger veins with UGS or EVLT, a repeat ultrasound will be done in 4 weeks to ensure that the treated veins are sealed. Occasionally, a treated vein will reopen, requiring a repeat injection of foam sclerotherapy. 98 percent of treated veins are sealed shut at 1-year follow-up. What are other recommendations for patients who have undergone the treatment? We recommend that patients stay out of the sun and tanning beds for four weeks, before and after surface laser treatment. Wear compression stockings for a minimum of three to five days. Abstain from high impact activities such as running or step aerobics for three weeks. Walk at a moderate pace, as it will aid in the healing process. The sclerotherapy spider/varicose vein treatment costs $420, with compression stockings costing $150. Medicare rebates may apply for the treatment, and private health rebates may apply for the stockings.